Australia’s climate can vary greatly from one year to the next. 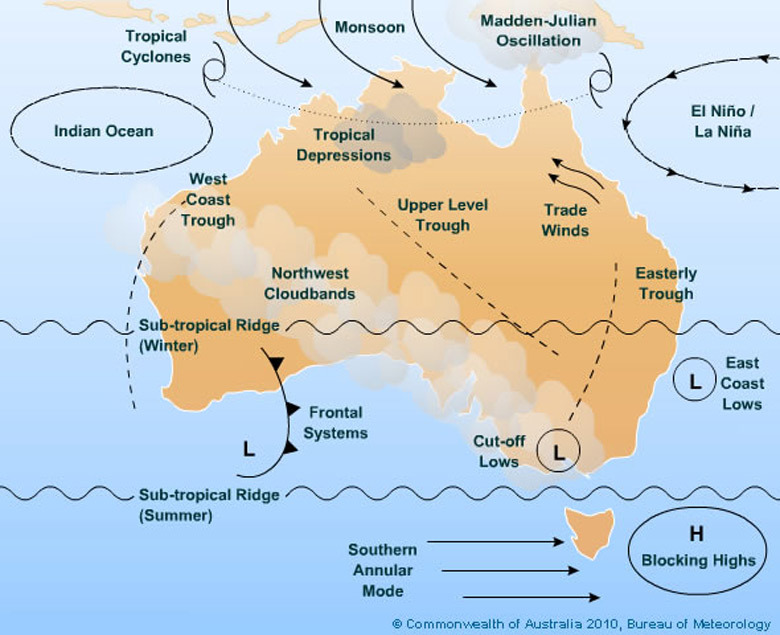 The schematic below, and links on the right, present the main – but not all – influences upon the Australian climate. Influences will have varying levels of impact in different regions at different times of year. For details, please see the associated text.